An outdoor space is not just an outdoor space, especially when it’s attached to your house. If you’ve plans to remodel the patio space or you’re thinking of building one, make this space uniquely yours. The cookie-cutter patio or the patio that resembles every other may be expedient, but why settle for blah when you can custom-design your patio to reflect your taste, lifestyle and personal take on outdoor living? 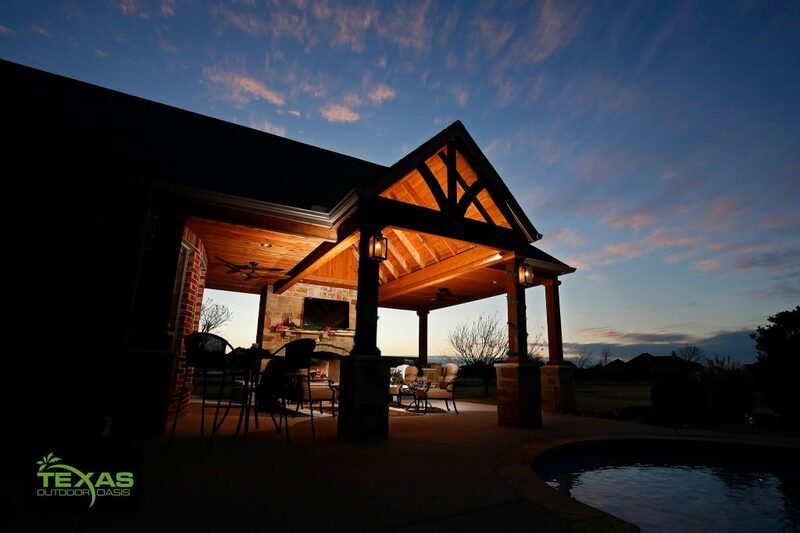 When you customized a patio, you can design it to fit your goals and dreams. Do you want a space that you can retreat to, for some quiet time to de-stress and unwind? Or do you want a space to entertain, to host outdoor gatherings? Or you just want a cozy place to relax and spend quality time with your family? These are considerations and you get to call the shots. Yes, you get to pick feature elements that are in line with your dream patio. These hand-picked features will reflect your goals and function of the patio. Whether it’s an outdoor pizza oven fireplace, a vanishing pool, a cascading waterfall or fire-pit, the possibilities are endless. These feature elements will accentuate the function of the patio and gives it a vibe all its own. If the outdoor space is an overflow of the house, it should be congruous to the overall look of the house. A regular patio may look out of place if the materials do not match the integrity of the style. But that is not a problem when you customize the patio. Your builder and you can decide on the materials to use when designing the space. For instance, a Spanish-styled house will look even more stunning when paired with pergolas, trellis, garden pavilions, ceramic elements, tiles and water features. Nothing looks more incongruous than a patio that is out of proportion to the house. A customized patio will allow you to build a patio that compliments the size of the house. In general, it’s better to build a slightly larger patio than one looks squashed and stunted. As you know, a beautifully-designed patio, especially one that is functional and aesthetically pleasing as well will add value to your home. It becomes a welcoming sanctuary, a quiet getaway or an entertaining space. If you’re thinking of custom patio, contact us.